B99 - War Band in Belts, Buckles & Gloves is made for Women and Men and comes in Black and is made of Pewter material. It is marked as BeltBuckles and weighs about 1.00 lb. 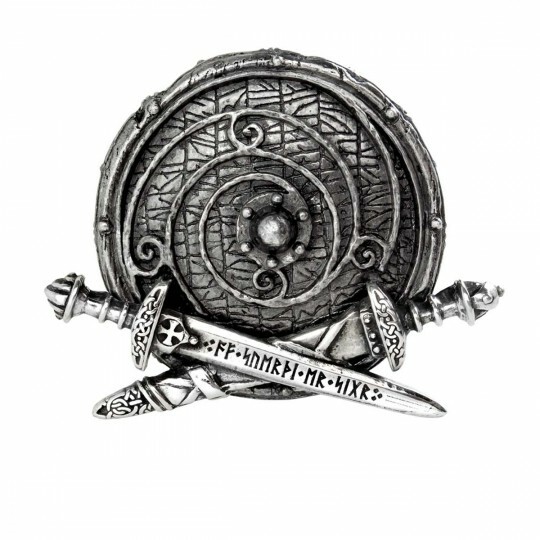 The rune-cut battle shield and trusted sword of a Viking leader. Width 2.95 x Height 2.76 x Depth 0.67 Approx.